"We booked through a travel agent for the first time with Kate's Escapes. Katie is amazinly organized and truly concerned that her clients have the best value and experience of a lifetime! We certainly did and highly recommend her for all your travel needs! On top of that she is friendly, efficient, informative and knowledgeable.  Book with Kate's Escapes! You will be glad you did." "Kate did an amazing job planning out trip to Thailand and Bali. She booked great resorts, airfare and some awesome excursions." "Kate is an amazing travel agent and goes above and beyond to ensure you get the perfect vacation. She's organized, efficient, and patient in dealing with client wishes. I highly recommend her for planning a vacation. She takes all the worry out of travel and ensures you get to just enjoy the ride!" "Kate booked two European river cruises for us in the past year. She made it painless so all we had to do was sit back and enjoy. She even helped us after the trip with an airline issue which were grateful for. We highly recommend her." "Kate helped us with our trip to the Dominican Republic! Couldn't have asked for a better trip, and no stress in trying to book everything!!! Quick response, even when we were down there and had a question!" "Best Travel Agent I've ever used, hands down!!! She made our vacation one that we will truly remember forever! she has great insight on what to do on vacation. The excursions that she suggested and set up for us were top-notch. We will DEFINITELY be using her again!!!!"